Biotech startup Clara Foods announced the close of $1.7 million in seed funding from David Friedberg, Ali and Hadi Partovi, Scott Banister, and SOS Ventures today. The goal is to use the dough to create egg whites without the chickens. While startup Hampton Creek approaches the problem by favoring plant protein over eggs, Clara Foods concentrates its efforts on liquid alternatives in a lab, using genetically modified yeast. 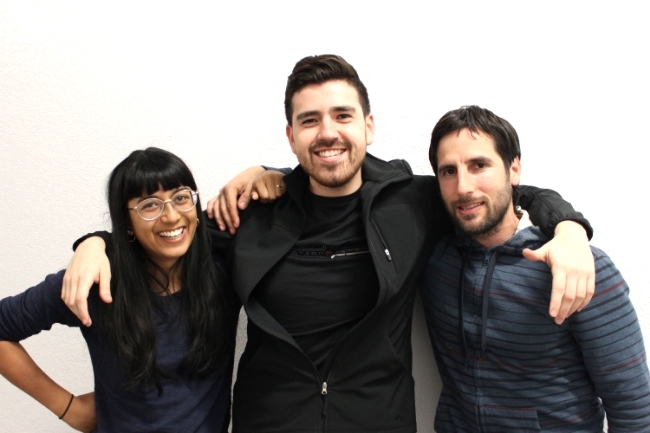 Founders Arturo Elizondo, David Anchel and Isha Datar ginned up a wild experiment inside biotech accelerator IndieBio this summer to produce a genetically identical, lab-grown egg white liquid using a proprietary batch of manipulated yeast. If Clara Foods can get this idea to scale, it could significantly reduce the cost and time spent raising chickens, procuring eggs and then separating the egg whites. That would be attractive to companies that use egg whites in their products such as pasta and condiment brands. Clara has already been reaching out to some of these bigger companies such as Fortune 500 pasta brand Barilla. “Our goal is to be in the B2B space as an ingredient since egg whites are used in large proportions in meat substitutes, baked goods like meringues, macarons, angel food cakes, confectionaries, and protein powders and supplements,” Elizondo told TechCrunch. The process also side-steps diseases associated with egg production such as Avian flu and salmonella – as well as animal welfare issues – without compromising an egg white’s taste or nutritional value, according to Clara Foods. An Avian flu epidemic in the Midwest killed off 48 million farm chickens and left many supermarkets and restaurants scrambling for alternatives this spring. Egg production is down by more than 10 percent and prices have soared in some parts by more than 70 percent since mid-April, according to reports. “From the onset, Clara was founded on a fundamental belief that we can cultivate a better and safer food system using technology,” Elizondo said. The plan is to now send batches to potential corporate partners and get orders in place as soon as possible.